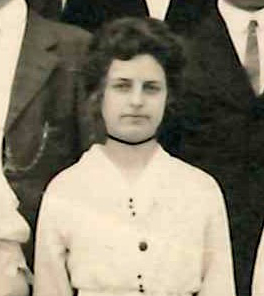 Hazel Virginia Lowry Lanning graduated from Cedarville College in 1914. While a student she was involved in the Philosophic Literary Society, also known as The Philadelphian Society, a literary organization on campus, some of whose records and minutes are included in this collection. Lanning occasionally served as the secretary of the society. Hazel married William Lanning in 1920; she later became a teacher and died in 1981. The Lanning collection contains commencement invitations, alumni banquet menus, Cedarville opera house programs, period institutional publications, and a variety of personal items, such as a handwritten song and a music book.